Pashmina is another name for Cashmere is a downy undercoat of the Capra Hircus Laniger goats that mainly live in the Trans-Himalayan regions classified as speciality hair fibres which possess special qualities of fineness and lustre, which is used for making finest quality shawls and hijabs. Woven shawls in India have been worn as early as the Indus Valley Civilization. A famous example is the statue of a priest-king found at Mohenjo-Daro, who is draped in a shawl decorated with trefoil patterns. Pashmina, a prince of the speciality hair fibre is one of the finest natural fibre. Encyclopedia of textiles (1980) defines speciality hair fibres as the rare animal fibres which possess special qualities of fineness and lustre. Pashmina is the down fibres or undercoat derived from domestic goat known as Capra hircus, which is native to India (Von Bergen, 1963). Pashmina can also be defined as the down (undercoat) fibre derived from Cashmere goats with a diameter of 15 microns or less (ASTM, D-123-59). Pashmina has derived its name from the Persian word “pashm“ meaning “soft gold“, the king of fibres (Anon, 2005). It is well known for its fineness, warmth, softness, desirable aesthetic value, elegance and timelessness in fashion. It is the most luxurious fibre which is much softer than superfine merino wool of the same diameter with the result it commands a much higher price. It has occupied a unique position among the fibres of animal origin because of its warmth, lightness, handle and its better ability to absorb dyes and moisture. On an equal weight basis, it is having 3 times more insulating capacity as that of wool (Von Bergen, 1963). The term Pashmina is also known as Cashmere, Kashmir, Pashm, Tiflit, Tiftik, Tivit, Tibit based on the effect on fibre yield. There is an apparent variation in the fibre length of Pashmina from different body regions in case of both male and females. As Pashmina grows as the undercoat and acts as a protective mechanism in Pashmina goats, so the sub-zero winter temperature also has an effect on the growth of Pashmina fibres. The pristine beauty of the Changthang region in Ladakh is marred by the stench of death that hangs over it. In the past three months, thousands of Changra goats, whose cold-shielding wool—six times finer than a human hair—is used to weave the famed pashmina shawls, have died because of heavy snowfall. News of sporadic deaths came in the first week of February from the inaccessible transit settlements of the nomadic Changpas who rear Changra goats. Before the information could reach the state headquarters in Srinagar, there were more deaths. As per the Ladakh Autonomous Hill Development Council (LAHDC), 25,000 Changra goats died in February and March, putting livelihoods of the Changpas at risk. 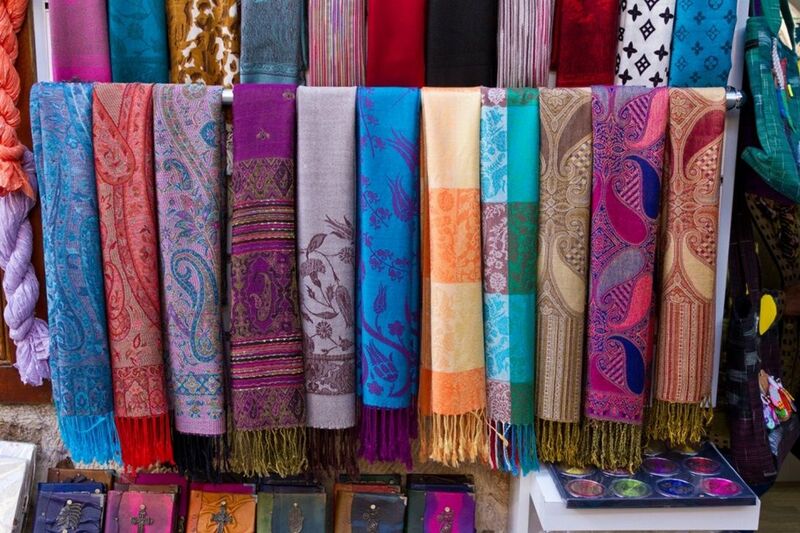 Ladakh produces 80 per cent of the country’s pashmina fibre. It fetches Rs 3,000 per kilogramme. Changthang is a remote plateau in south-eastern Ladakh, bordering China (see map). At an altitude ranging from 4,200 metres to 5,700, the region is a cold desert that receives little rain. The summer rain of four to five days supports small patches of pastures, dictating the delicate ecology-economy equation of the Changpas. The pastoralist community largely depends on livestock products for survival. Dairy products are converted into less perishable forms like butter and cheese, which are used during winters. The produce is also used as currency in the barter system practised in the region. Changthang usually experiences five centimetres of snow during winters when the temperature dips to -30°C. But this year it received 121 cm of snowfall, which many claims is the worst in the past half a century. “This is unusual and has triggered the crisis,” says Monisha Ahmed, an anthropologist working in the region. According to residents and government officials in Leh, most of the goats have died due to starvation. There was very little rain last summer due to which there weren’t enough pastures. Adding to the woes, heavy snowfall cut off the region from the outside, causing a delay in fodder supply from the government. Whatever pastures that sprouted were buried under snow, making grazing impossible. Mostly young and the old goats have died. It is not the cold but the thick snow cover over pastures that killed them, says Nawang Tharchen, a resident of Rupshu valley and a Changpa. Ashok Hakoo is a technical textile and management consultant, who undertake projects on mill operational activities and provides solutions to technical and management shop floor problems. He has an extensive business background in international, multi-cultural environments with proven achievements in textile technology and management, operational functional applications, for conventional and technical fabrics. He is currently working with Fabtech Solutions as a textile Consultant.